If you haven’t noticed, it’s time to take stock in how quickly home security technology is advancing. Every year, better technology that does more with less enters the market, and the consumer is flooded with options that can all help them in equal proportion. So how does one go about choosing the top home security system for their home in Memphis? At Fifteen Alarms, we want to keep our community informed about the home security industry so they can make the best decisions possible for their homes and families. 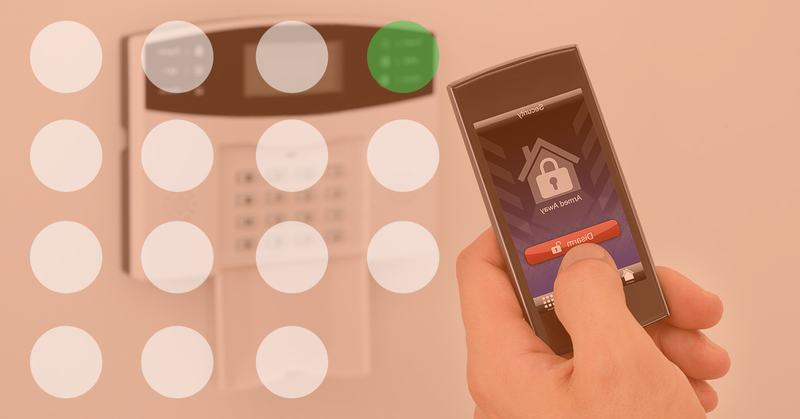 In this post, we’ll share the top five home security system trends for 2018. We expect a couple great advancements in the technology, and, furthermore, more security features to protect the home and keep the family safe. If you’re ready to discuss installing a home monitoring and surveillance system in your Memphis home, give us a call today. Otherwise, enjoy the trends shared in this post! Over the last few years, phone applications have exploded. From games to calendars and beyond, apps have become a staple in how we augment our daily lives through digital connection. When it comes to home security systems, the ability to check on your home or receive alerts through your phone is paramount. The internet reshaped how we as a global society communicate, and it also offered a vast amount of connectivity opportunities between one another and our belongings—one connection being to our homes. Fifteen Alarms sees the increase in app use across the home security industry to be an important one. Whether you want to lock your front door, check in on the family, or simply turn off your lights downstairs from anywhere in the world where there’s an internet connection, you can do it. Apps address one of the most primal determining factors for human survival: convenience. How easy is it to achieve a goal? Apps make it easier to check on and monitor the security of your home. Technology will continue to advance, and the industry will continue to change—albeit at varying paces. However, this is an opportunity for home security companies to do something different. They can serve their customers better, even though there are hundreds of DIY home security systems on the market. Furthermore, the injection of voice technology, security systems, and communication has evolved into a natural, fluid experience. Home security companies have to offer the professional touch that artificial intelligence and algorithms have yet to master. Technology is meant to help us live better lives. This means that home security systems that automatically take care of you, your family, and your home are becoming more prominent. Convenience is the goal here. It’s more convenient to setup a system and let it run in the background then checking the door locks every couple hours to ensure the home is properly locked down. Automation also allows for more free time to do other things like not worry about the security of your home. Automated home security will simply make the use of security systems easier. It’s rather surprising that it’s taken this long for the home security industry to begin thinking about our little ones. Whether your kids are arriving home from school, staying home alone, or waiting at home for the school bus, home security systems are now offering programmable alerts to notify the parents of their child’s movements or lack thereof. As long as the child follows the set route and time schedule, the alerts won’t be sent to parents; however, if the child varies from their set system for too long, the parents can be alerted. Furthermore, in-home features like cameras, communication systems outside smartphones, and app-controlled features like locks, lights, and climate all play a role in keeping kids safe. What’s more reassuring than seeing your child safe and at home after a day of school? Not much. Want to check your home, even though you haven’t gotten any alerts lately? Need to make sure your package got delivered today? You can monitor your house with video cameras to your heart’s content. Finally, video tech is becoming less expensive as it gains a foothold in the market. Contact The Fifteen Alarms Specialists Today! As you may already know, trends can change in days, weeks, months, and, if they survive long enough, years. Fifteen Alarms works to keep its community informed, so they can make the best decisions possible when choosing between the top home security systems on the market. Ready to talk home security? Call us today!